ULFA general secretary Anup Chetia claimed that attempts to get the bill passed in Parliament had induced youngsters in the state to go to the jungles for taking up arms. GUWAHATI: The pro-talks faction of the United Liberation Front of Asom (ULFA) threatened to pull out of the ongoing peace parleys with the Centre on Saturday if the controversial Citizenship Amendment Bill was passed in Parliament. Besides, a government lobby was backing certain people to fan communalism among the Assamese and Bengali-speaking people of Assam, it claimed. 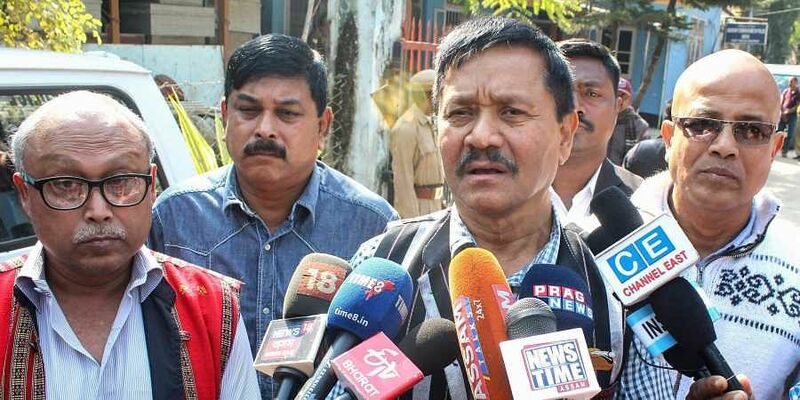 "The ongoing peace talks are likely to be discontinued if the Centre goes ahead with the citizenship bill, against which protests have erupted in Assam with all sections of the society participating in the agitation," prominent ULFA leader Mrinal Hazarika told reporters here. The issue was raised on the organisation's platform that the talks would be redundant if the bill was passed, he said. The bill seeks to amend the Citizenship Act, 1955 to grant Indian citizenship to the Hindus, Sikhs, Buddhists, Jains, Parsis and Christians, who fled religious persecution in Bangladesh, Pakistan and Afghanistan and entered India before December 31, 2014. Protests have erupted in Assam and the other north-eastern states after the bill was passed in the Lok Sabha on January 8. Senior police officials of Assam, in November last year, had said a growing public sentiment against the Centre's move to amend the Citizenship Act had given a "fresh lease of life" to the ULFA, which had recruited eights youngsters in the previous two months. Besides, Chetia alleged that Bharatiya Janata Party (BJP) leaders like Pradip Dutta Roy were backed by a government lobby to fuel the "feelings of communalism" among the Assamese and Bengali-speaking people. Dutta Roy courted controversy on Friday by threatening Assamese-speaking students in the Bengali-dominated Barak valley that their admission in the Assam University at Silchar would be barred if they protested against the citizenship bill. "I am writing to the vice-chancellor of the university, asking him what step he is taking against the students for opposing the bill," he had said. On Saturday, the university authorities banned protests on the campus without prior permission. "We always want to live peacefully with the Bengali, Bihari and Marwari people. But the government is always after us. They arrested us for making communally instigating remarks but spared people like Pradip Dutta Roy," Chetia said. Chetia and Hazarika were at the Dispur police station, responding to a summons on the charge of gheraoing a BJP office here on January 6. On the summons, Chetia said, "Three women, who had joined the BJP's office-gherao programme, had come to our office to use the washroom and a bus carrying the protesters was parked outside our office. This made the police believe that the gherao was planned by us." Chetia was deported to India from Bangladesh in 2015 after 18 years of imprisonment.